Thank you for all of the positive feedback on my haircut in my last post! Sometimes I still can't believe I worked up the nerve to have my sides shaved, but each day, I wake up, I love the way it looks. While I decided to get a haircut this winter, a lot of naturalistas are wearing protective styles during this season to protect their hair and scalp. A wig is a common protective style and last month, I was sent the FreeTress Creta Girl Half Wig by Divatress.com. 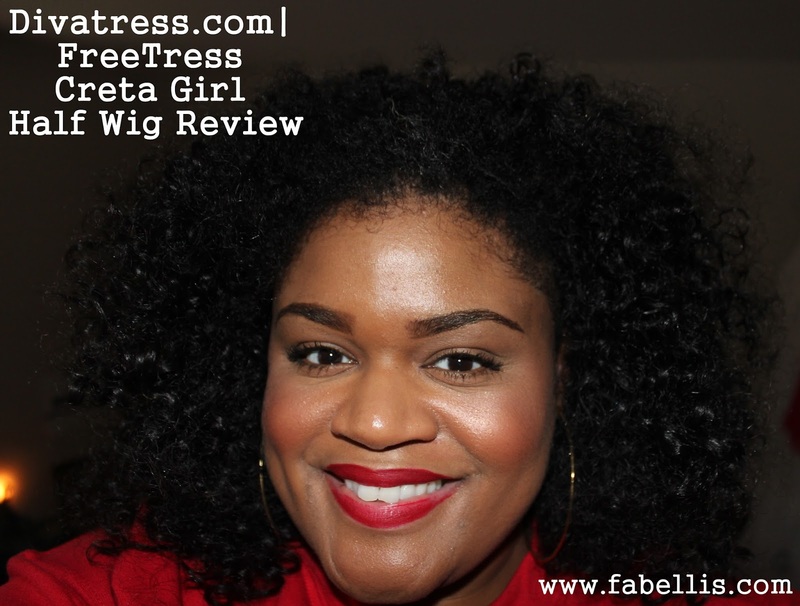 I'm sharing on YouTube my full review of the FreeTress Creta Girl Half Wig. Be sure to view it below and if you like the video, please give it a thumbs up! To learn more about the FreeTress Creta Girl Half Wig, click here. What do you think of the FreeTress Creta Girl Half Wig? Are wigs a protective style you wear? The wig looks good on you and looks natural. I've been debating on getting a wig because I'm tired of doing my hair and then I get scissor happy. She looks very good on you! Very natural. It's great for those transitioning or just wanting to change up their look! Taht wig looks amazing. I've never been able to pull off a wig but I was thinking about trying a natural half wig to add length. That wig looks fantastic on you. It looks so real! I don't wear wigs but I love when I see someone wearing one and I can't tell it is one. Thank you ma'am! I think wigs are great things to keep just in case of a bad hair day or if you want to try something new. Plus, this one and another one I have are under $20. A cheap investment! Thank you Katherine! I'm not really a wig person myself, but if I'm going to wear one, I prefer in winter because in the summer, it feels like a hat. LOL! Thanks!! You should definitely give it a try. I think natural/curly wigs are so much easier to pull off. LOL!!! Thanks Alisha. I think it's easier to blend the longer your hair is. You should try a half wig as your hair continues to grow. Cool! Thank you for stopping by!